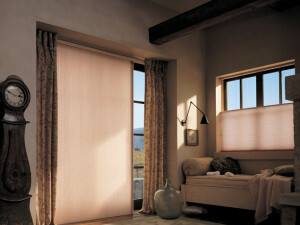 There are times when window treatments can do more than just cover your windows. 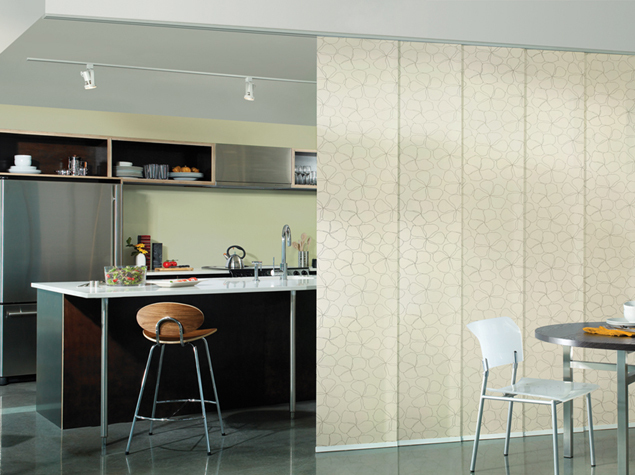 Sliding window panels and vertical honeycomb shades, for example, also make excellent room dividers. 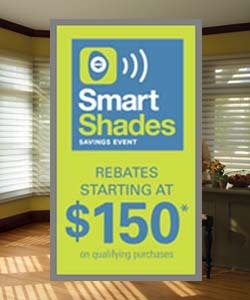 As your local Hunter Douglas dealer serving Baltimore, we carry the innovative Skyline® Gliding Window Panels and Duette® Honeycomb with Vertiglide™ honeycomb shade that work wonderfully in this non-traditional way. Traditionally a horizontal window covering, honeycomb shades didn’t initially offer a solution for large windows or patio doors. People with honeycomb shades on their windows were asking for a uniform look throughout their home, so Hunter Douglas created a vertical counterpart to their horizontal Duette® Honeycomb with Vertiglide™ honeycomb shades. Also known as sliding screens, panel track blinds, or gliding window panels, sliding panels were created to provide an innovative indoor solution for covering patio doors and large windows. Each panel glides fluidly on its own track, so it didn’t take long for people to realize that they were more than just a great window treatment option. 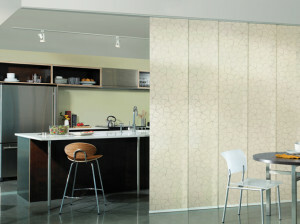 Sliding panels are now being used as a creative and hip alternative as room dividers and closet door replacements. Traversing horizontally, Skyline Gliding Window Panels slide on patented two-channel single slimline track. Open, they stack tightly to offer the maximum view. Closed, they show off rich fabrics and textures. 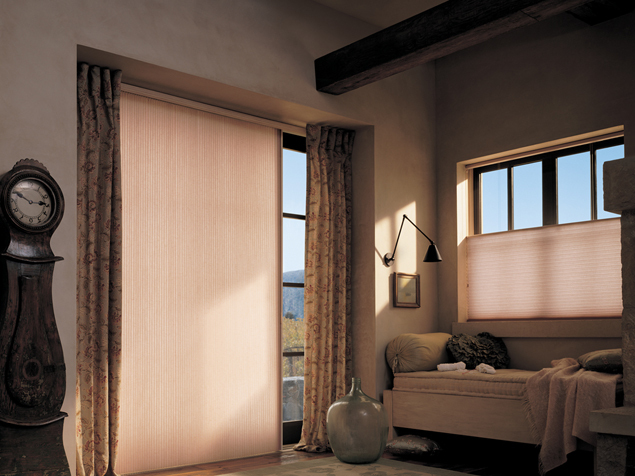 To coordinate with other window coverings in your home, choose from our Designer Screen and Designer Roller Shades collections. Skyline Gliding Window Panels are made of dirt- and dust-resistant materials, making them easy to maintain. Offering 75% protection from harmful UV rays, window panels protect your furnishings and improve energy efficiency at the window. As an added bonus, as with all Hunter Douglas products, our window panels are custom-assembled in the U.S. and carry the Hunter Douglas Lifetime Guarantee. Windo VanGo is the premier Hunter Douglas Gallery in the Baltimore, MD, area, with a gallery showroom in Marriottsville and serving residential and commercial clients throughout the counties of Baltimore, Baltimore City, Howard, Carroll, Hartford, and Anne Arundel.